In redesigning the interiors of Allport Cargo Services South Africa’s Cape Town offices, Inhouse design studio needed to come up with a solution that would reflect the supply chain management firm’s brand identity and business in a modernised work environment, but since the company occupies the second and seventh floors of a building, they also needed to find a way to integrate the aesthetics of two different floors. 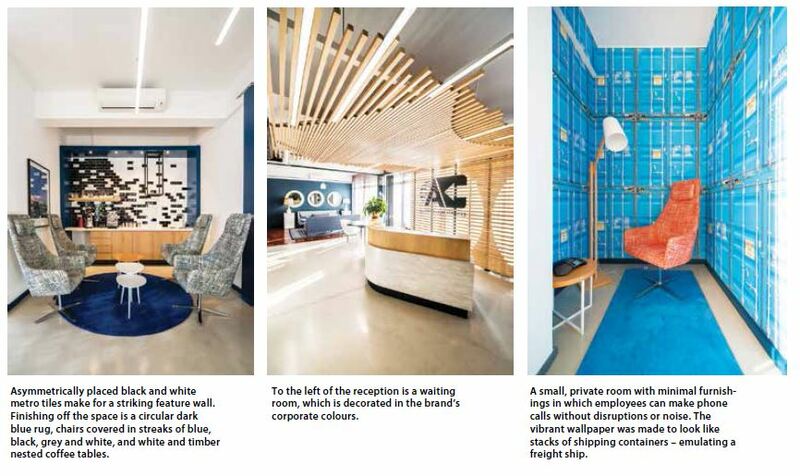 To distinguish the offices from others in the building and at the same time give an immediate impression of the brand identity, Inhouse made use of a colour scheme of blue, white and black, which collates with the company’s corporate colours. Timber, exposed brickwork and nautical-inspired elements such as nautical maps were also used throughout. The result, in the words of Phillip Wyatt, director at Inhouse, is “sleek, modern, world-class, beautiful and undeniably fun”. Full thanks and acknowledgement are given to Inhouse for the information and photos provided. 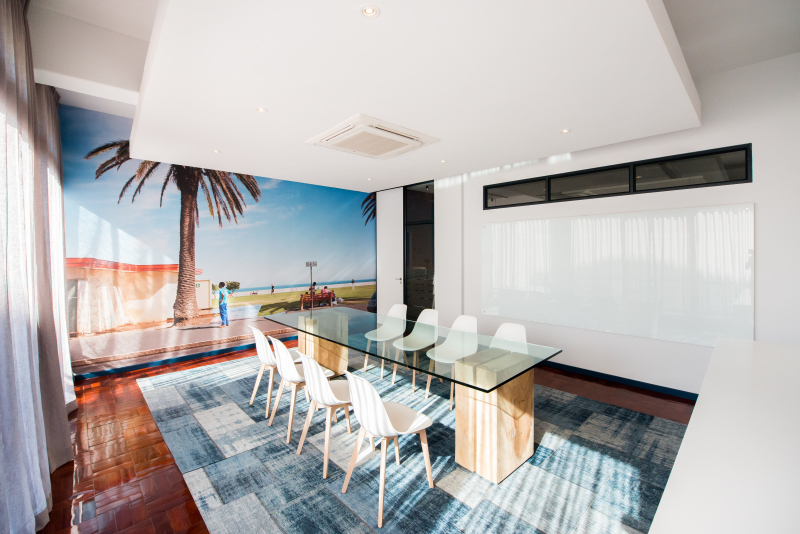 Caption: The closed-off meeting room on the second floor features a combination of the corporate colours, with white walls, a large, modern, square-patterned rug in various shades of blue and timber furniture. A photographic mural, in keeping with the maritime theme, adds depth to the room.